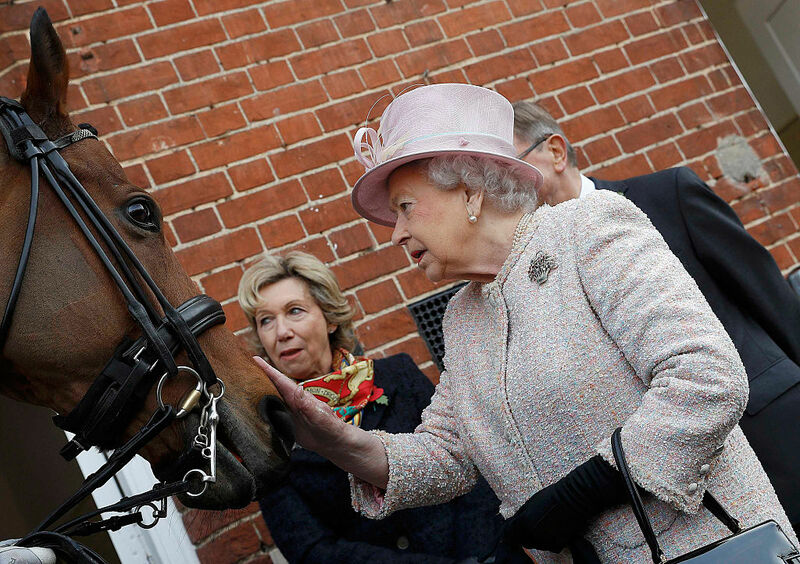 Queen Elizabeth II has made millions on horse racing prize money over the last three decades, but before you start imagining the queen of England making bets at the track, you should know that these winnings come from prizewinning horses the queen owns, not ones she bets on. The data comes from horse racing site MyRacing.com, and has QE2 pulling in more than $8.8 million in horse racing prize money so far, thanks to 451 victories from 2,815 races dating back to 1988, when such records became easy to access for the general public. That's a win percentage of 15.9, and last year was among the most profitable in a while for the Queen with $731,413 in total winnings. In 2017, for its part, is shaping up to be a pretty good year on the track too, with $542,531 in winnings so far for the queen of England. She's not doing too bad against other big league horse owners, either, ranking at number 11 on the list of most financially successful owners in flat racing since 1988. Elizabeth II is known for her love of horses going back to the age of 4, when she was given a Shetland pony as a gift. Since then, she's retained that equestrian enthusiasm, even attending official royal ceremonies while on horseback. In 1952, following the death of her father King George VI, she inherited the king's stable of thoroughbreds, and it was – so to speak – off to the races. Two years later she was named British flat racing Champion Owner, an honor she earned again in 1957. Queen Elizabeth II's racehorse owning career includes victories at four of the five British Classic Races – St. Leger Stakes, Epsom Oaks, 1,000 Guineas and 2,000 Guineas – with only the Epsom Derby having slipped through. So even with her millions in prize winnings, she still has at least one more trophy to strive for.